"A little bit Chelsea Handler, a little bit Dr. Phil" with her straightforward and easy-to-read prose, Sophie Venable introduces readers to four fundamental principles that every woman can learn in order to create a fuller, more joyful life. Reading MYLF 101 is like going on a walk with a friend who loves you enough to call you on your crap, is kind enough to do it with compassion, and knowledgeable enough to give you some real tools to change it. With an emphasis on truth, discipline, courage, and gratitude, Venable encourages women to step back and gain a new perspective on themselves and the world around them. Learn how to create more "me time" and prioritize self-care, even while taking care of kids, dogs, parents, and household. Get acquainted with your own strengths and learn how to manage your emotions through physical activity and what Venable introduces as "emotional yoga." Learn how to respond instead of react. Discover how being honest about what feels like love to you, and even nurturing a fun hobby, can make you more loving to others, making all of your relationships more gratifying. 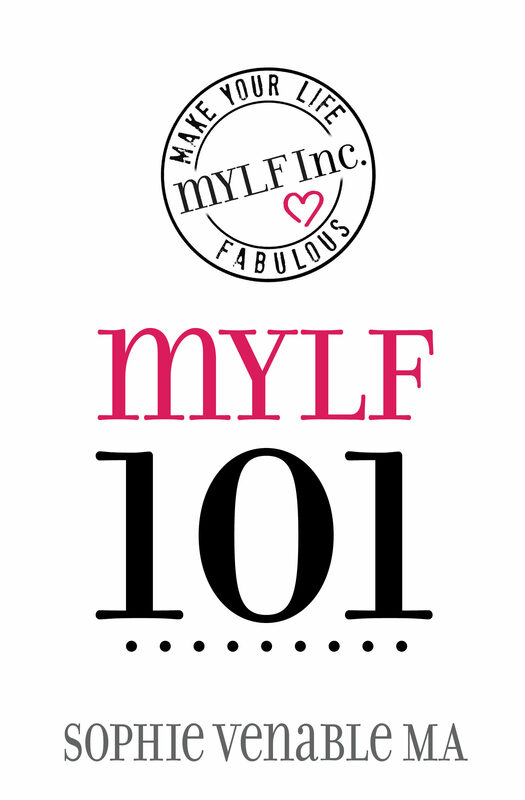 These lessons and more are yours in Sophie Venable's MYLF 101.